Easy design. Cozy house. Happy life. Every user loves this user-friendly and cost-efficient floor plan maker! 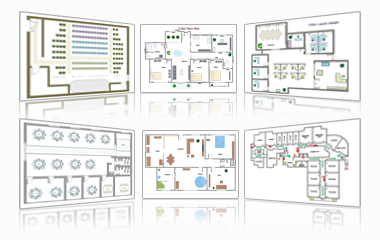 Abundant floor plan templates and examples are contained in floor plan maker and more are easily accessible online. These examples are all well-formatted, leaving little things to do before application. Users just need to make minor modification like changing another theme. In this way, even beginners can gain professional floor plans. Within only a few minutes, you're done. 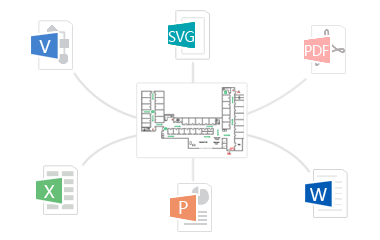 Then you can choose to print or export the diagram into a multitude of formats, including Visio, Office and graphic formats and so on. This seamless compatibility with other programs enables easy collaboration with others. 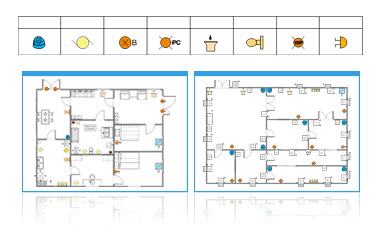 Instantly turn any floor plan into a gateway of information through inserting hyperlinks, attachments and other objects. They are interactive infographics that anyone can create. In one single diagram, you can navigate to a multitude of resources with great ease. 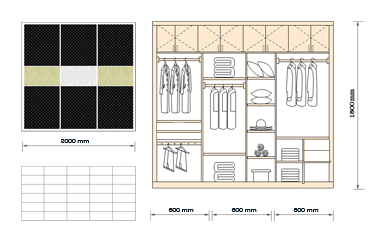 The drawing canvas has gridlines and rulers, enabling precise design. Included shapes are smart ones that know what to do, with a full range of walls, room shapes, and furniture options. Some are attached with scale which will change automatically when shapes are changed. A group of professional functions will surely ease design process and improve it to be top notch. We have separate libraries for different types of floor plan so you can draw your preferred floor plan by using the exact symbol suite. Click a specific template in the software to gain relative symbols and tools. There are Home Plan, Office Layout, Seating Plan, Garden Plan, Fire Emergency Layout, HVAC Plan, Electrical and Telecom Plan, etc. Floor Plan Maker is the trusted service provider of floor planning for some of the world's most recognizable brands. Get Started! 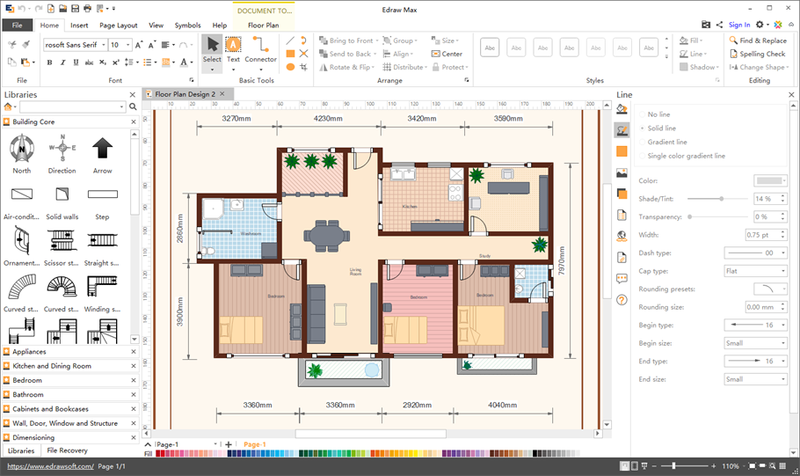 You Will Love This Easy-To-Use Floor Plan Maker Pro. Making floor plans has become as simple as cake and as easy as pie with floor plan maker. Just start with the exact template needed so that you can gain presentation-quality floor plans as quick as lighting to build your dreamy home. 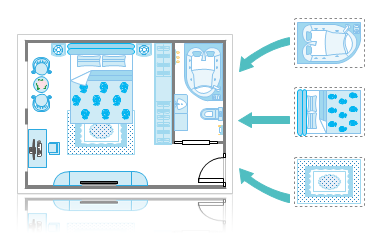 All elements are predefined so you just need to drag and drop them to suitable location. It is best because it is simple. Leave all difficult stuff to Floor Plan Maker and all you have to do is enjoy the cozy house and happy, comfortable life.